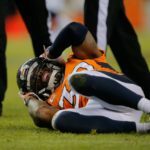 “Late last month, a study published by the Journal of the American Medical Association grabbed headlines with a startling statistic: Chronic traumatic encephalopathy, or CTE, was discovered in 110 of the 111 former NFL players whose families donated their brains to the Boston University School of Medicine. The disease, caused by head trauma, leads to dementia, memory loss, suicidal thoughts, and personality and mood changes, among other progressive symptoms. The New York Times ran a two-page spread with photos and blurbs about the players; since then, stars from Ben Roethlisberger to Boomer Esiason have discussed CTE with a frankness that would have been unimaginable just a few years ago.